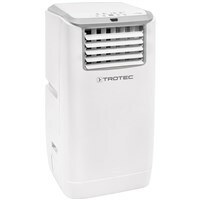 Perfectly organized air freshness in a fresh compact design: the PAC 2000 E Air Conditioner. 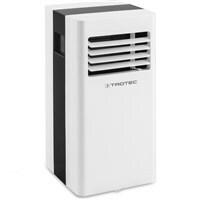 The monoblock air conditioning unit with a cooling capacity of 2.1 kW at an air flow of 320 m³/h. 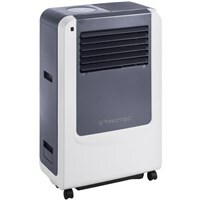 The Monoblock air conditioner PAC 2010 S has 2 kW cooling capacity, with an air output of 230 m³/h. 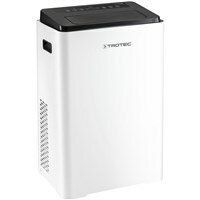 The PAC 2010 X combines a 2.1 kW cooling performance with a space-saving design. 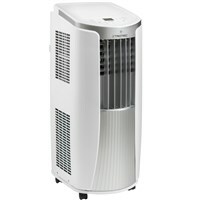 The PAC 2100 X air conditioner with 2 kW cooling capacity is suitable for rooms up to 65 m³. 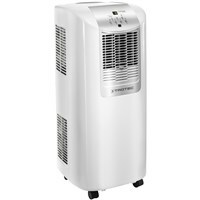 The PAC 2600 X air conditioner with 2,6 kW cooling capacity is suitable for rooms up to 75 m³. Don’t be fooled by its size : for a clean and fresh climate for rooms up 85 m³. 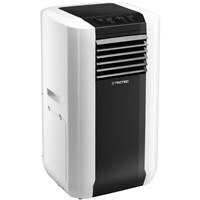 The air conditioning unit PAC 2610 E with 2.6 kW cooling capacity, with an air volume of 330 m³ / h.
The comfortable 2-in-1 air conditioner PAC 2610 X generates 2.6 kW of cooling power. 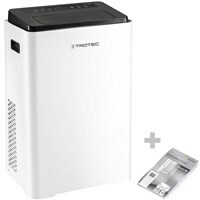 Strong performance, the best indoor climate, the energy efficiency: air conditioner PAC 3200 E A+. 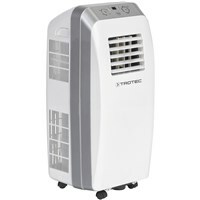 Keep your cool wherever you are - mobile air conditioners for the home, office or workshop. 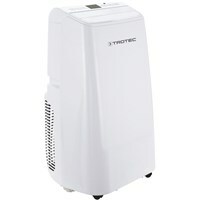 For you to keep a cool head: the portable air conditioner for offices, manual areas or homes. Air conditioner PAC 3550 PRO: up to 25% more efficient cooling thanks to innovative technology. 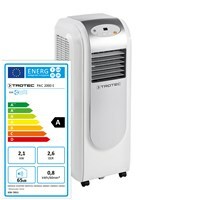 With a cooling capacity of 3.9 kW, the PAC 3900 X is recommended for large rooms up to 130 m³. 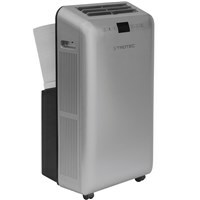 A good indoor climate enhances performance - PAC air conitioning units cool and dehumidify the air. 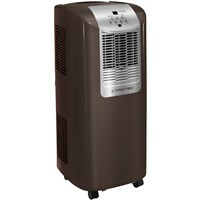 The mobile 4-in-1 air conditioner PAC 5800 X cools heated rooms to a comfortable temperature. The solution when using mobile air conditioniing units with discharge hoses in buildings. The energy-saving mounting solution for air conditioning units with one- or two- hose technology. The practical AirLock 1000 window/door seal with a circular length of 560 cm and 2 openings. 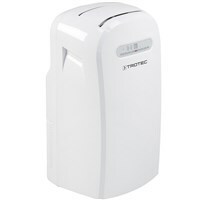 They are mobile, offer selectable ventilation system, exhaust hose, an infrared remote control and 24 hour timer function for activation and deactivation. You need to decide for only one size. 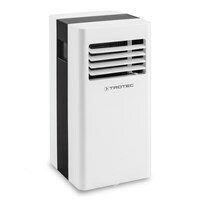 We offer you the air conditioner for small spaces, as well as mobile air conditioning units with high cooling capacity for large spaces. 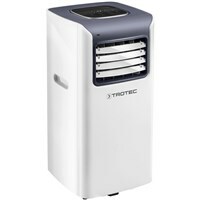 Compact, portable air conditioners have a decisive advantage: they can be used flexibly, wherever you need cool air or a constant indoor climate. 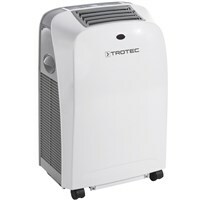 So easy and can be air-conditioning. In addition to mono block devices we also offer split units. Bei dieser Klimaanlage sind der Verflüssiger (Außeneinheit) und der Verdampfer (Inneneinheit) voneinander getrennt, wobei die Außeneinheit auf der Terrasse oder dem Balkon aufgestellt wird. 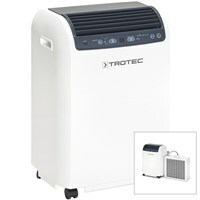 By the way: mobile air conditioners that you buy from Trotec, always focus on quality. With our products, our accessories and our service. 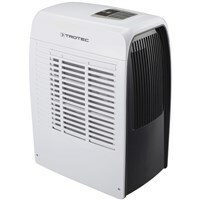 Trust in one of the largest providers of mobile air conditioner worldwide!